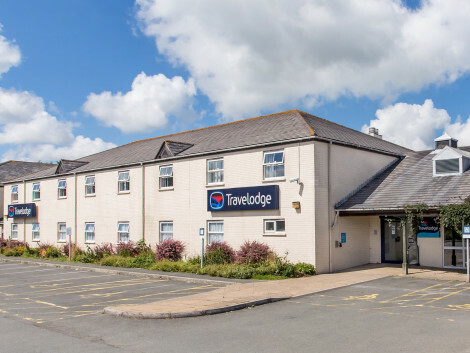 With a stay at The Bugle Inn in St Austell, you'll be within a 15-minute drive of Eden Project and Roche Rock. This inn is 10.4 mi (16.8 km) from Lost Gardens of Heligan and 13 mi (21 km) from Watergate Bay Beach. Make yourself at home in one of the 14 guestrooms featuring refrigerators and DVD players. Complimentary wireless Internet access is available to keep you connected. Conveniences include safes and desks, and you can also request cribs/infant beds. Located in St Austell (South Cornish Coast), Trevanion Lodge is convenient to Porthpean Beach and Charlestown Harbour. This bed & breakfast is within close proximity of Pinetum Park and Pine Lodge Gardens and Eden Project.Rooms Make yourself at home in one of the 14 guestrooms featuring DVD players and flat-screen televisions. Complimentary wireless Internet access is available to keep you connected. Bathrooms with showers are provided.Dining A complimentary English breakfast is included.Business, Other Amenities Free self parking is available onsite.